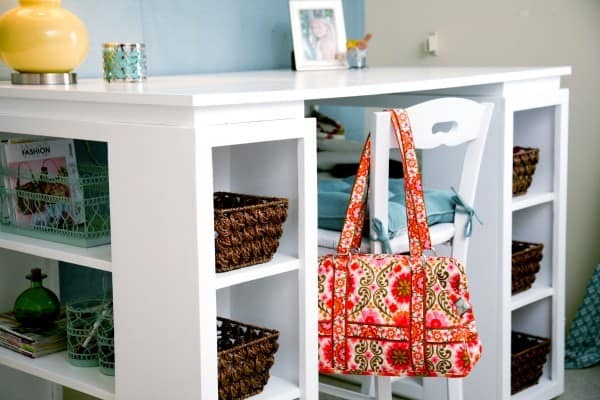 How to Make a Crafting Table That Organizes Everything | Homesthetics - Inspiring ideas for your home. 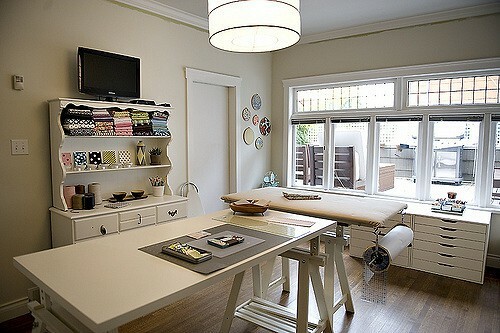 One thing every house improvement enthusiast, DIY geek or interior decorator needs is a dedicated crafting table. A craft table where they can work on the ideas they have and the ideas they have collected from the web. 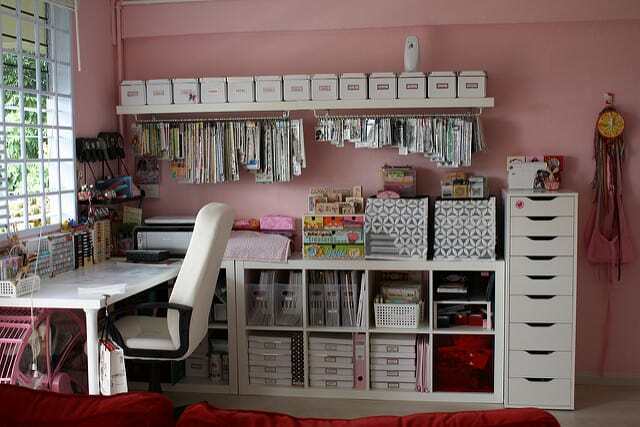 In addition, they need a table that does not interfere with their work-flow, to say the least, but what they hope for is to find or build a craft table that can help them get things done quickly. 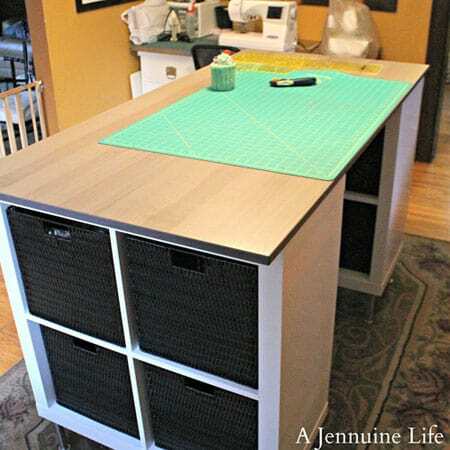 This article shows a light of hope to DIY enthusiasts who do not know how to make a crafting table that will help them streamline their workflow and organize everything related to the work at hand. A word of caution, before we begin, the ideas presented here are not definitive, by any means, but then DIY enthusiasts just need a direction and a map. They can figure out the rest on their own. Imagination plays the creator role in this equation and it will set the rules of the game as you play. 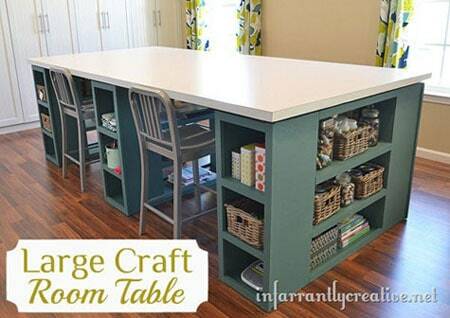 One of the key considerations when making a craft table is related to space on and around the table. 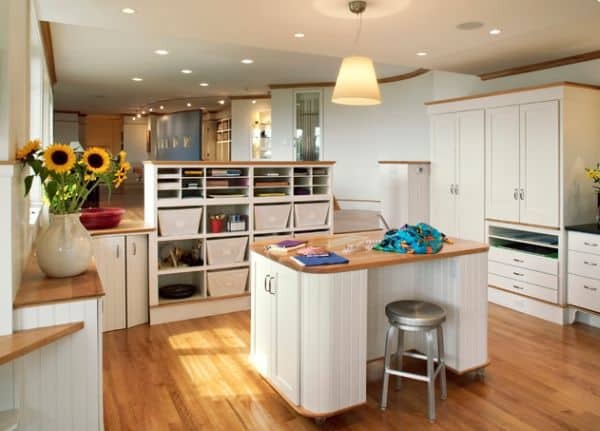 A design of the table should be such that there is enough space on the table to work on the project and there should be enough room around the table to move freely from one place to another when working on a DIY project. Often people find their movement constrained because of the shape and size of the table, which reduces their productivity. In addition, due to the lack of space on the crafting table, a person needs to shift parts of the project from one place to another in order to make space. Constant toing and froing irritates, to say the least and moving things from one place to another seriously slows down the project. 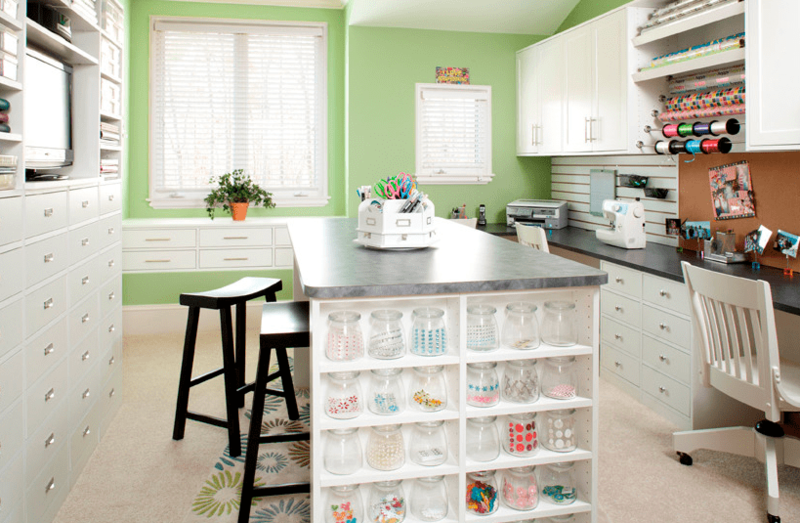 Another feature that one should keep in mind when making a craft table is storage space. It is important that there is plenty of storage space in the crafting table. It will help in keeping things organized and finding them when needed. When building storage space beneath or above the crafting table, one should always keep in mind that craft items come in various shapes and sizes and there is absolutely no way to know what kind of items you will need to store in the future. 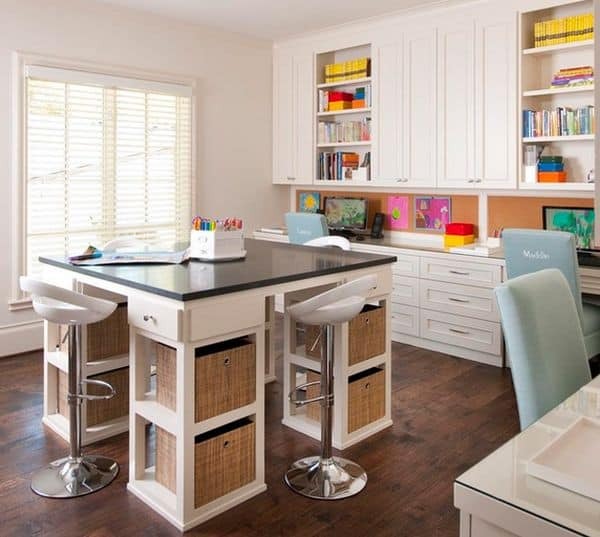 Therefore, one should make some removable dividers between the shelves, to make the storage in the table useful in the future as well. Regardless of what kinds of projects the crafter undertakes, a power source is always required. One should have an electrical board with more than one 6A, 16A and 32A AC power sockets and switches installed in the crafting area. This will save the time that gets wasted in removing one plug and attaching another, this significantly slows down the process. 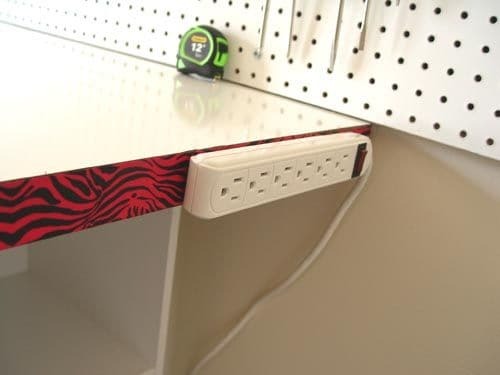 In the absence of a permanent solution, one can at least have a power strip extension board around the craft table, like the one shown below. 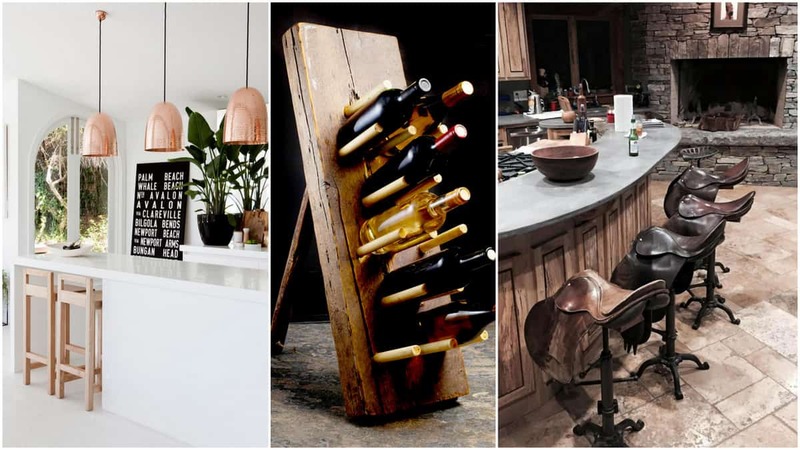 One has to be on its feet to complete certain DIY activities, but there are some DIY projects that require the person to sit comfortably to do the task at hand. 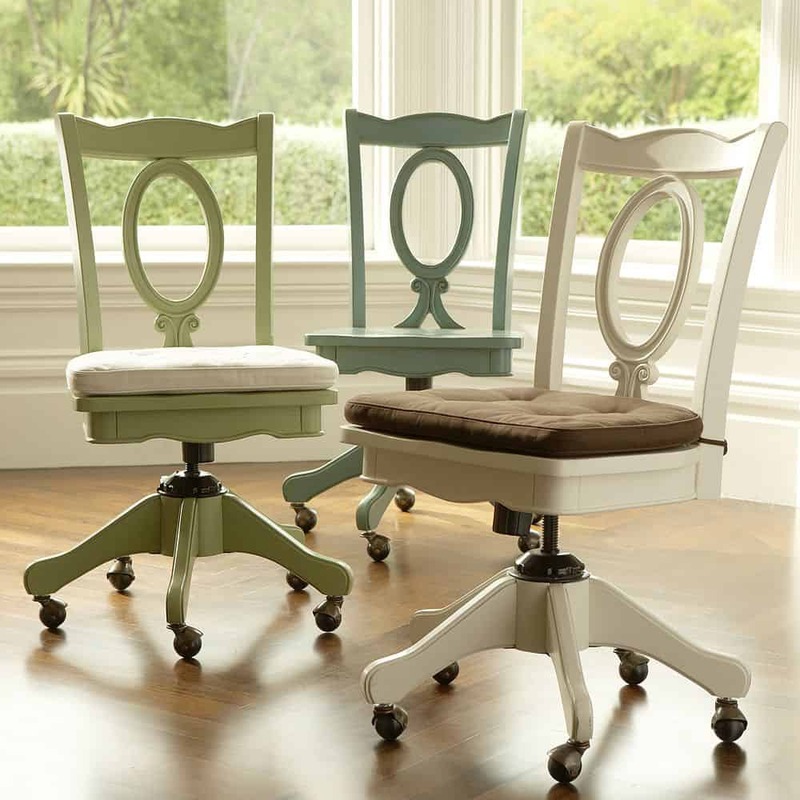 It is, therefore, important to have a comfortable and preferably height-adjusting chair in the craft room, if the chair has wheels it will be even better. The wheels will be helpful in moving around without getting up from the chair, every time the project demands it. 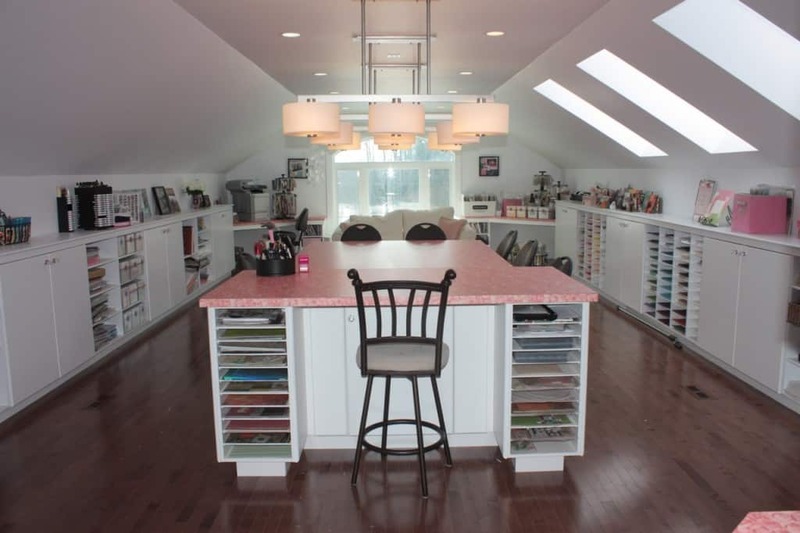 Ideally one should have a lot of natural light in the crafting room, but if that is not possible than proper artificial lighting should be used. Proper lighting is as important for a good crafting table as anything else discussed above. It is hard to focus on your work in a poorly lit area. In the absence of proper lighting, it would be hard to see the exact output produced at any given point. It holds true for the most of the projects. Although there would be some projects that may not need such a close monitoring, but still it is better to have proper lighting on the craft table. Generally speaking, one needs to constantly check the development of the project in order to rectify the error if and when it happens. This will minimize the wastage. When installing overhead lights, it is recommended to also install table lamps to focus on the project area. Like proper lighting, proper music is an essential item to have in a crafting room. A music source installed near the crafting table with a good supply of music to keep you engaged is recommended. Music will keep the motivation at the optimum level, which will let the creative juice flow freely. Inspiration boosts creativity. In truly inspired moments creative juices flow like torrents and when it comes to inspiring people nothing works better than written words. 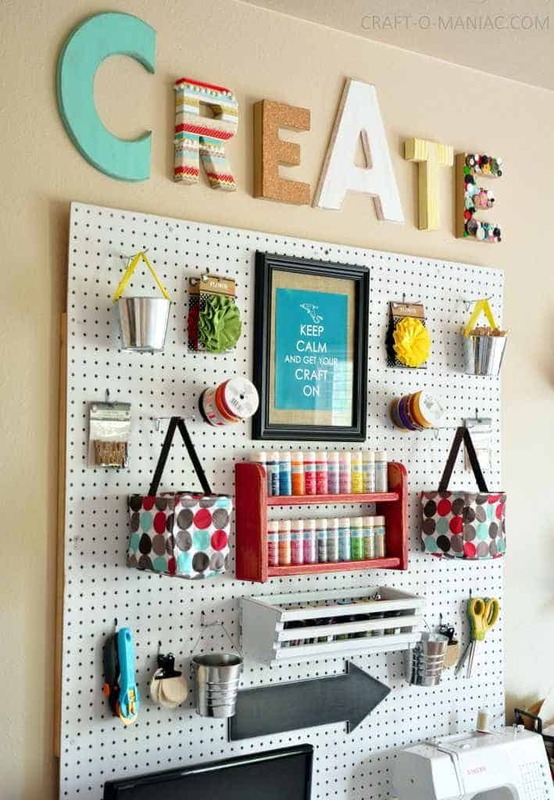 It is, therefore, important that one has an inspiration wall made in a prominent place around the crafts table. 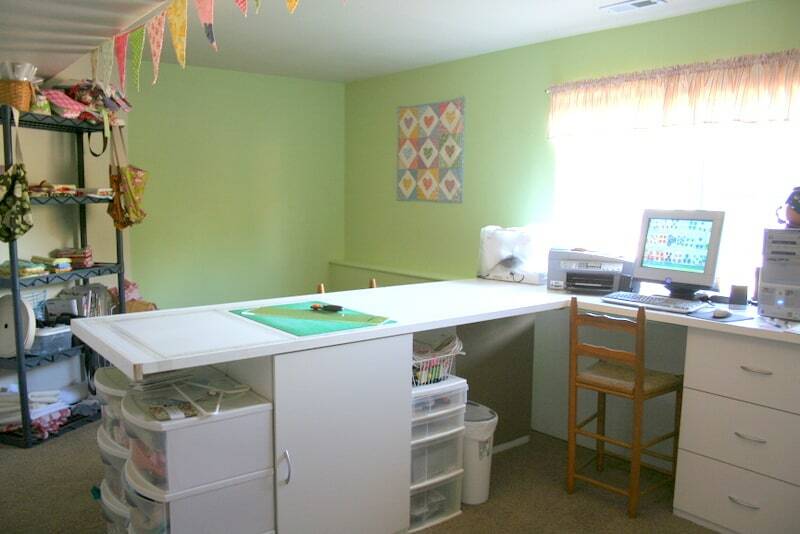 The inspiration wall in the craft room should have some inspiring quotes and there should be space to hang things that the person has worked on in the past. As the saying goes, nothing inspires more than success. Nothing inspires more than successfully completed projects. In almost everything that one does, the first step is always involves knowing one’s objective. This holds true for making a craft table as well. The first should be to make a list of kinds of projects you will undertake. 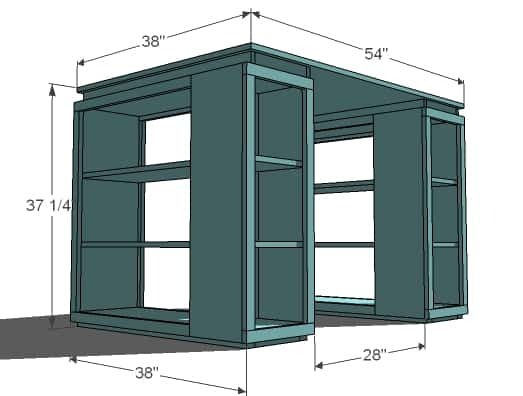 This will work as a basic building block for an all-purpose craft table design. 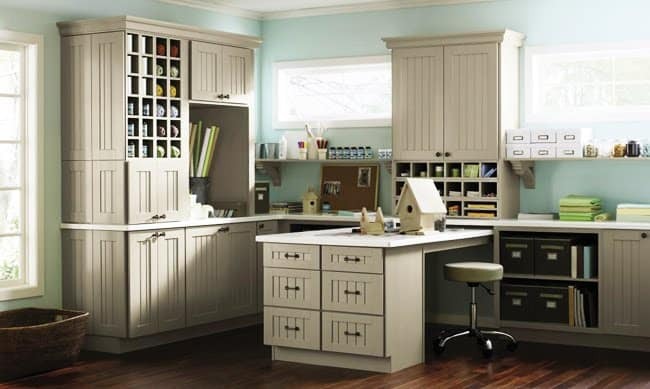 All DIY activities may not need separate setup, but some of them do, so you need to know what kind of space you require to do what. As discussed above, you will also need to build a storage space to keep different kinds of items in or around the crafting table. Make a list of shapes and sizes things that you may want to store. Material and tools required to make a craft table will almost be the same irrespective of the crafting table you are going to make. 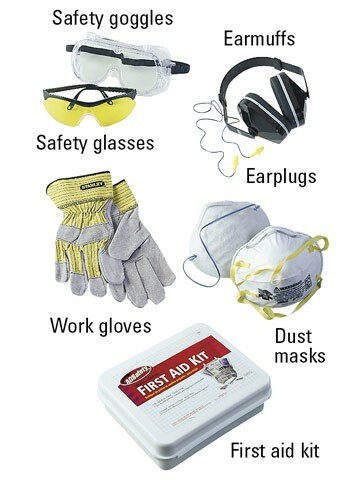 However, there could be some specific tools and material that you may need. You should make a list of those as well. 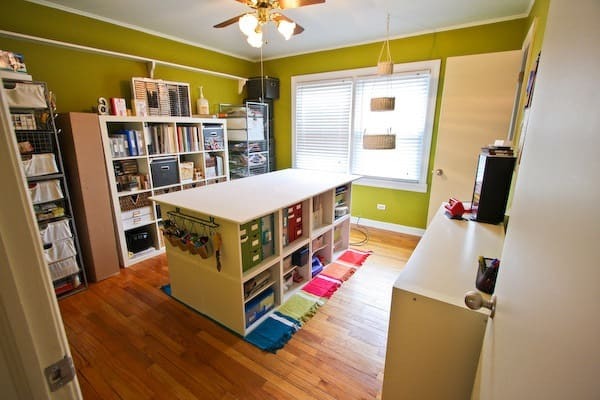 Plywood would be the best material for a craft table, but you can also go for MDF. Both have their own advantages and disadvantages. 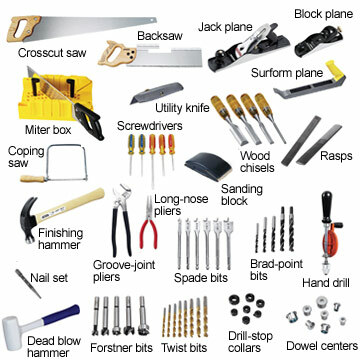 Along with the plywood or MDF, you will also need nails, industrial strength adhesives, laminates, various sizes of screws, measuring tape, wood cutting tools, hammer, drill machine and safety gear to make a crafting table. The final step is about execution. 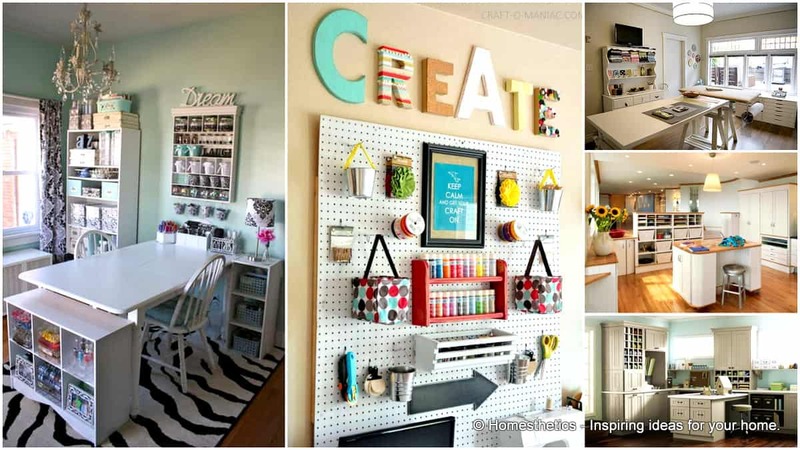 The time has come to begin working on your first DIY project, which will work as a platform on which you will bring all your DIY ideas to life. Caution and meticulousness are two important traits at this level. These will help you build the crafting table without wasting your resources. After all the details have been laid, it is time to get inspired. And we cannot think of a better way to inspire a DIY geek than showing them examples of some exciting yet functional craft tables. 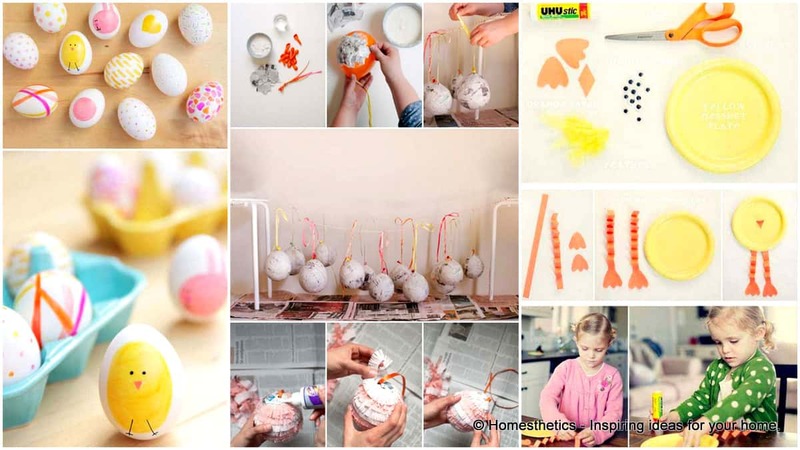 By showing how to make a crafting table that can help you organize everything in one place, the article has tried to emphasize that like any DIY project, making a craft table is also tamable. Like any other project making a crafting table should also be taken as a DIY initiative. The end result will not only produce a wonderful table but also give you immense satisfaction, the importance of which can never be overstated.